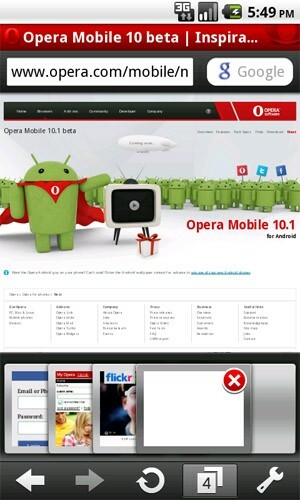 We all knew it was coming and now the public beta of Opera Mobile 10.1 is available for download on Android devices. We already seen the impressive results of Opera’s mobile replacement browser on iPhone and other mobile devices, so we definitely have high hopes for this latest release and the forthcoming finished release. Some of the more notable features of Opera Mobile 10.1 for Android include Opera’s Speed Dial, touch friendly bookmarks in grid form, visual tab management, pinch-to-zoom, desktop browser sync, and location services. The pinch and zoom as well as the incredible tab management implementation should be enough for all Android users to at least give the public beta a try. 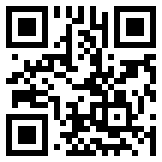 You can grab the app from the Android Market (QR code below) now or point your phone’s browser to m.opera.com, or check out the video demo of the app in action above. Opera Mini Beta for iPhone Weeks Away?